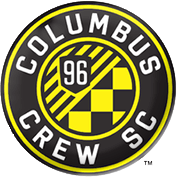 These two sides have met 10 times previously including the last match a couple of months ago where New York City beat Columbus Crew 2:0. This time they meet in Ohio, at the MAPFRE Stadium. Their head to head record is evenly matched with NYC having one more win. At the moment, they are next to each other in the table in the Eastern Conference, NYC sitting in 3rd, while Columbus is in 4th place. The difference between them is 8 points, and New York City has three wins more than Columbus. However, NYC have scored 16 more goals and at the same time conceding only one goal more than this week’s opponent. The talented Gyasi Zardes will try to help Columbus win and add to his 15 goals so far in the season, but NYC have the experienced striker David Villa and two attacking midfielders in Tajouri and Morales. We are predicting a tight New York City win. Cristian Martinez is a Columbus Crew midfielder who was born in Panama City on February 6, 1997. Martinez began his senior career in 2012 at local club Chorrillo, but after four years he was sent on loan to MLS club Columbus Crew. The Panama footballer found the net for Columbus on his MLS debut on June 1, 2016, becoming the youngest goal scorer in the club history. Cristian Martinez played for the likes of Pittsburgh Riverhounds and FC Cincinnati on loan as well, but in 2018 he returned to the MAPFRE Stadium outfit. The Columbus footballer made his debut for Panama national football team against El Salvador on February 18, 2016, coming as a substitute for Armando Cooper in the 78th minute of the match. Martinez made his first start for Panama in a 1-0 loss to Nicaragua in a friendly game on March 16, 2016. The Columbus midfielder has five caps for Panama U20 team as well as he represented los Ticos at the 2017 CONCACAF U20 Championship. 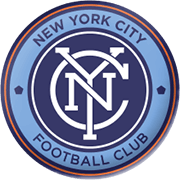 New York City are an American soccer club and they have been competing in Major League Soccer since 2015. The Pigeons play their home games at Yankee Stadium and they are the second club in New York after the New York Red Bulls. Famous Arsenal player Patrick Vieira took over the reins in January, 2016 and he helped the team finish the season in second place in the Eastern Conference. However, they were totally outclassed by Toronto FC (0-7 on aggregate) in the conference semifinals. New York City chiefs have been pumping up a lot of money into the squad ever since the team began play in MLS and it has to be noted that the likes of Andrea Pirlo and David Villa played for the Pigeons in the 2016 season. New York City footballers wear sky blue shirts when playing at home, while the colour of the team’s away kit is dark blue. Companies City Football Group (80%) and Yankee Global Enterprises own the club.